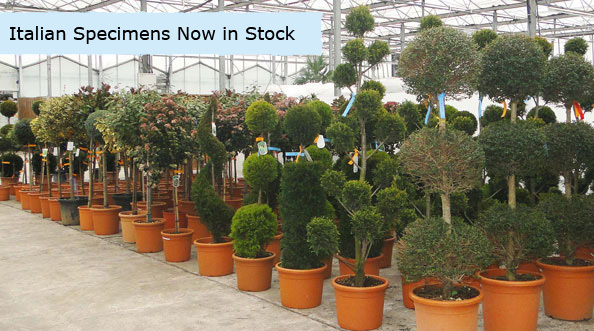 Four Oaks Cash & Carry now as over 1500 lines of trees and shrubs will be on display from starter plants to specimen sizes in addition to the young plants of bedding and basket plants for which we are historically known. A wide range of sundries is also available, plus a new range of aggregates for the Autumn. Our customer base includes growers, independent garden centres, landscapers and garden designers, local authorities, landowners, developers and stately homes, covering a wide area from the North of Scotland down to Oxford. Watch this site for details of seasonal specials, including a superb selection of planted hanging baskets and patio pots which can be made to order. 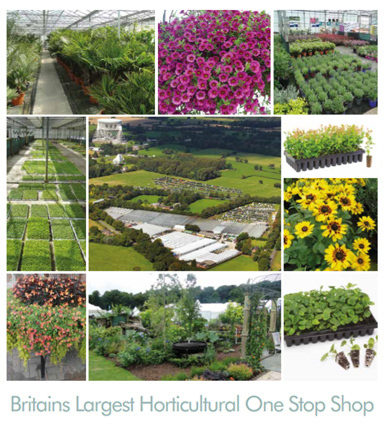 Visit the largest horticultural "One Stop Shop" in the UK . We are located just 5 miles from junction 18 of the M6 motorway.